I may be in Egypt, but I am always inspired by past vistas and adventures. My last couple of days in Canada--so sorry you folks STILL have snow, I was treated to some stunning hoarfrost. Now, anyone who knows me knows I have very little good to say about winter, I don't mind visiting it once and awhile, but I'd hate to live there. 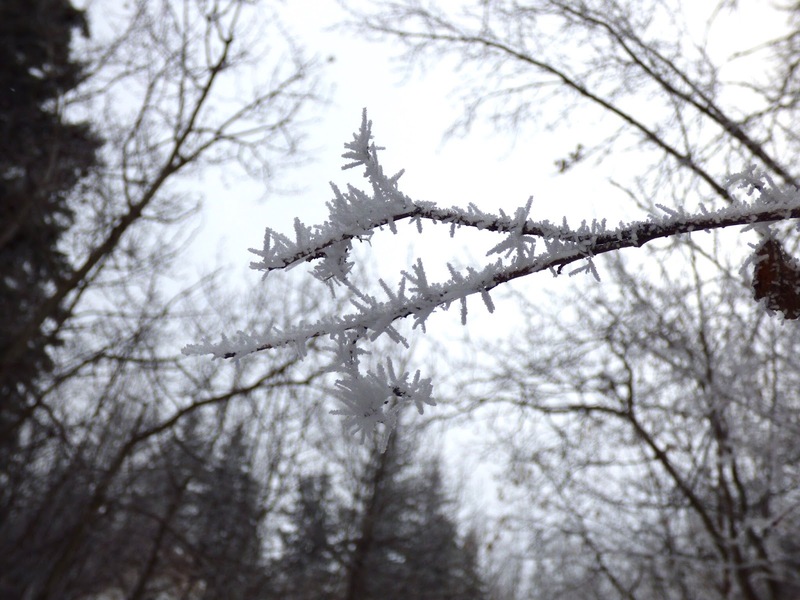 This hoarfrost, however, was just stunning. Reminding even my jaded self that winter has its delights.